Several prior studies have found that despite theoretical expectations otherwise, facilities (such as on-premise alcohol outlets) have consistent effects on crime regardless of time of the day (Bernasco et al., 2017; Haberman & Ratcliffe, 2015). We explain these results by failure to account for the regular background wave of crime, which results from ubiquitous patterns of human routine activities. Using eight years of data on assaults and robberies in Seattle (WA), we demonstrate the regularity of the within-day crime wave for all areas of the city. 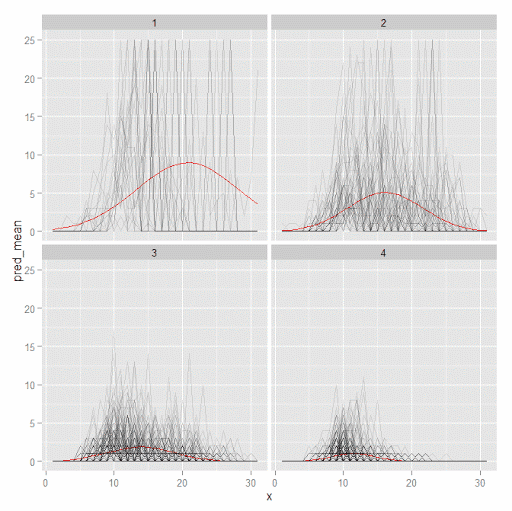 Then using models to predict when a crime will most likely occur, we demonstrate how schools and on-premise alcohol outlets cause bumps in the background wave at particular times of the day, such as when school dismisses. But those bumps dissipate quite rapidly in space, and are relatively small compared to the amplitude of the regular background wave of crime. 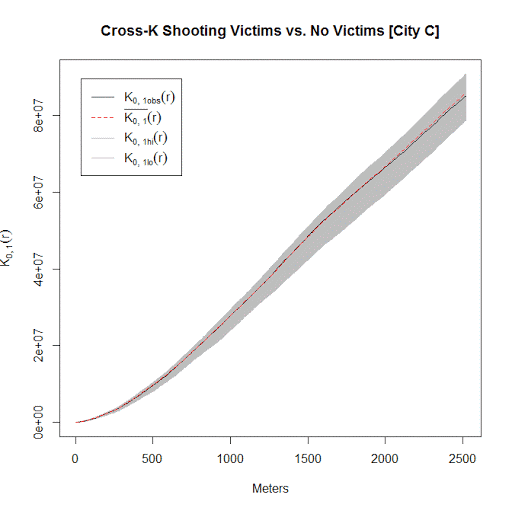 Although facilities have theoretical times in which they should have a greater influence on crime patterns, they are situated within a community of other human activity uses, making it difficult to uniquely identify their effects separately from other aspects of the built environment. You can see bumps very nearby schools at 7 am, then around noon and throughout the later afternoon, but are smoothed out when you get to around 2,000 feet away from schools. The idea behind this paper is that several recent articles have not found much of a conditional relationship between crime generators and time of day. For example you would think bars only effect crime at nighttime when most people are at the bar, but several recent articles found the time of day does not make much of a difference (Bernasco et al., 2017; Haberman & Ratcliffe, 2015). We hypothesize this is because of the background wave of crime per hour of the day is much larger in magnitude than any local factor. An intuitive reason for this is that a place never has just a bar in isolation, there are other local land uses nearby that influence criminal patterns. You can see places nearby crime generators cause slight bumps in the background wave, but they are tiny compared to the overall amplitude of the general within day crime wave. 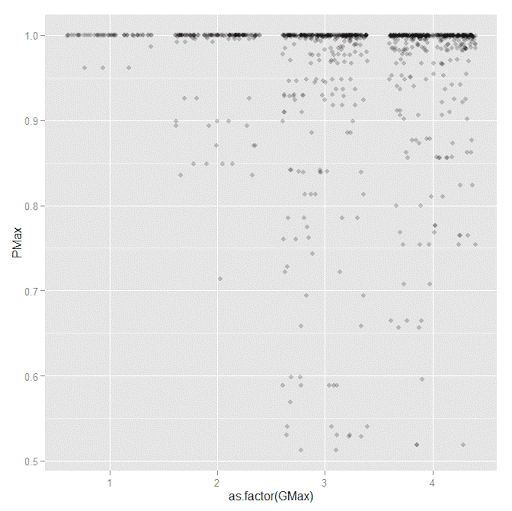 The article has a link to data and code to reproduce the findings. As always if you have feedback I am all ears. I’ve started to do more geographic data manipulation in R, and part of the reason I do blog posts is for self-reference, so I figured I would share some of the geographic functions I have been working on. 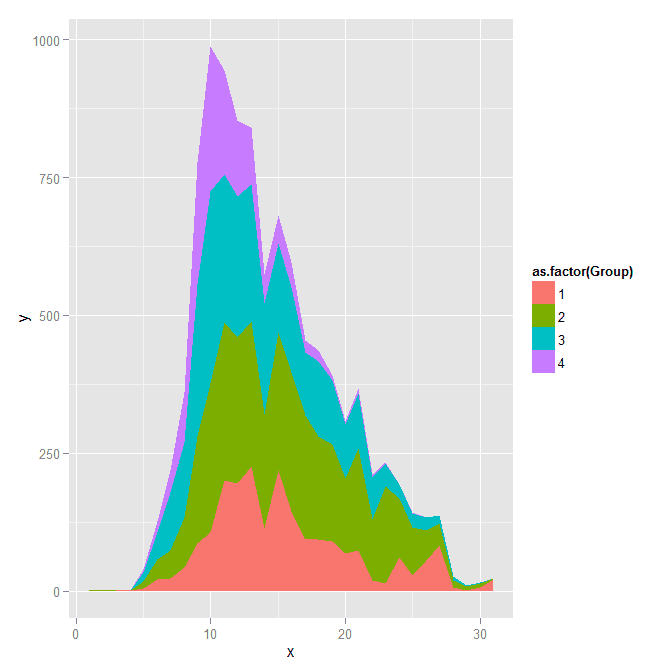 The other day on StackOverflow there was a question that asked how to do one sided buffers in R. The question was closed (and the linked duplicate is closed as well), so I post my response here. If we reverse the line string, the order will subsequently be reversed. Examples of south to north and north to south work the same as well. One example in which this procedure does not work is if the polyline creates other polygons. This messes up the order as well. If you know that your polyline is actually a polygon you can do a positive and negative buffer to get the desired effect of interest. 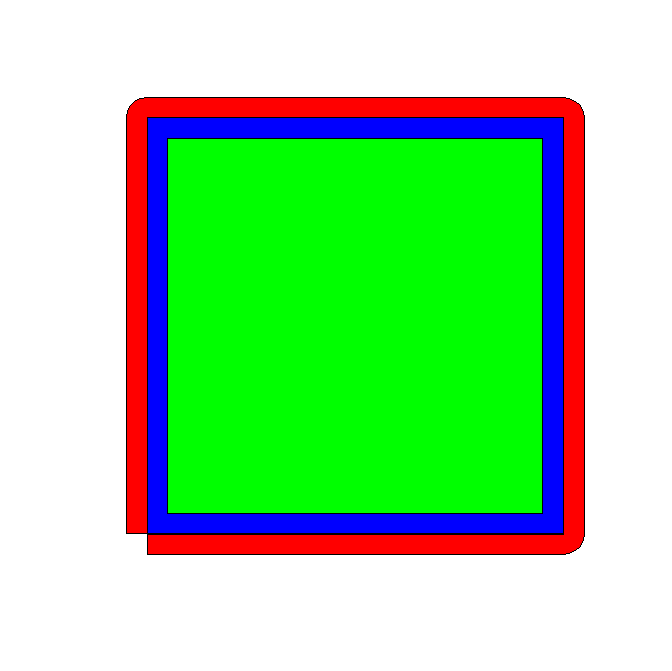 If I have a need to expand this to multipart polylines I will post an update, but I have some other buffer functions I may share in the mean time. 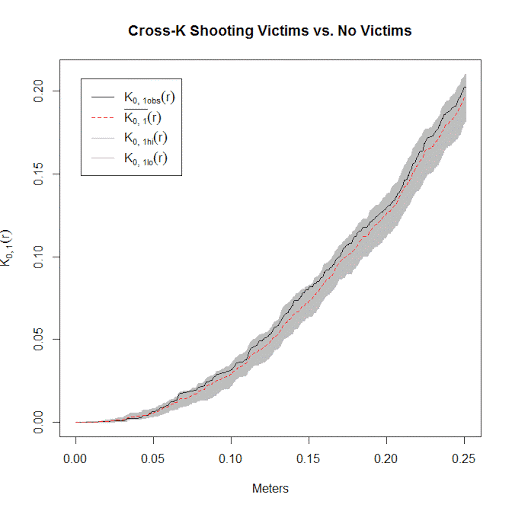 On my prior post on estimating group based trajectory models in R using the crimCV package I received a comment asking about how to plot the trajectories. The crimCV model object has a base plot object, but here I show how to extract those model predictions as well as some other functions. Many of these plots are illustrated in my paper for crime trajectories at micro places in Albany (forthcoming in the Journal of Quantitative Criminology). 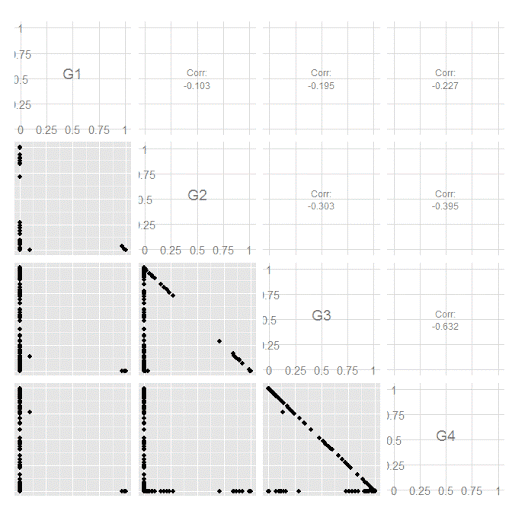 First we are going to load the crimCV and the ggplot2 package, and then I have a set of four helper functions which I will describe in more detail in a minute. So run this R code first. 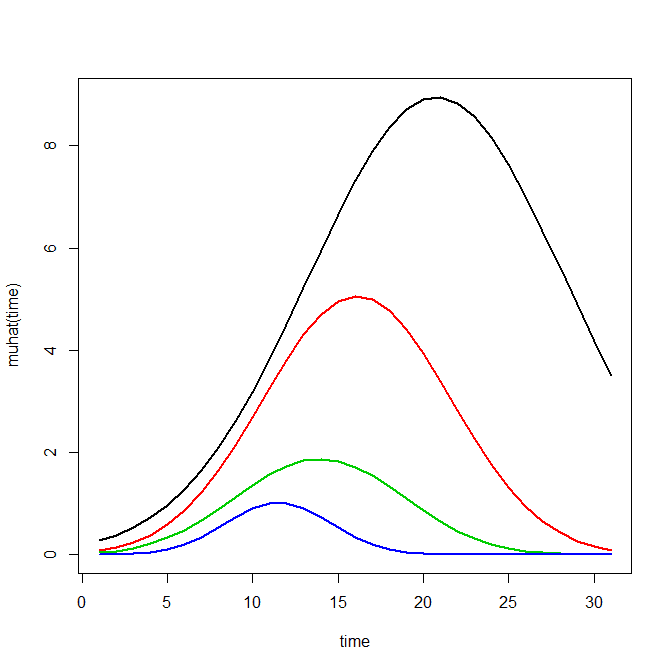 names(prob) <- paste0("G",1:dim(prob)) #Group probabilities are G1, G2, etc. 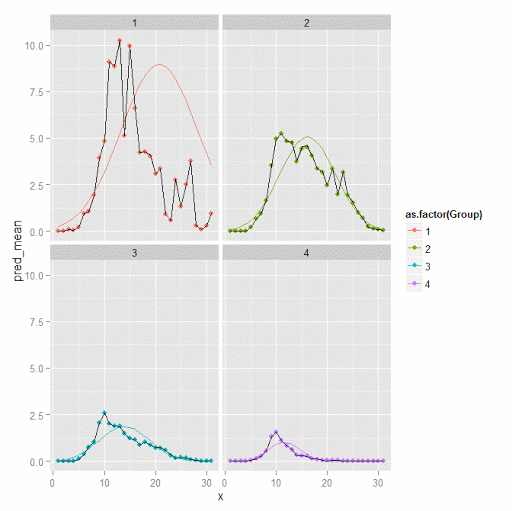 Now we can just use the data in the crimCV package to run through an example of a few different types of plots. First lets load in the TO1adj data, estimate the group based model, and make our base plot. Now most effort seems to be spent on using model selection criteria to pick the number of groups, what may be called relative model comparisons. Once you pick the number of groups though, you should still be concerned with how well the model replicates the data at hand, e.g. absolute model comparisons. The graphs that follow help assess this. First we will use our helper functions to make three new objects. The first function, long_traj, takes the original model object, out1, as well as the original matrix data used to estimate the model, TO1adj. The second function, weighted_means, takes the original model object and then the newly created long_data longD. 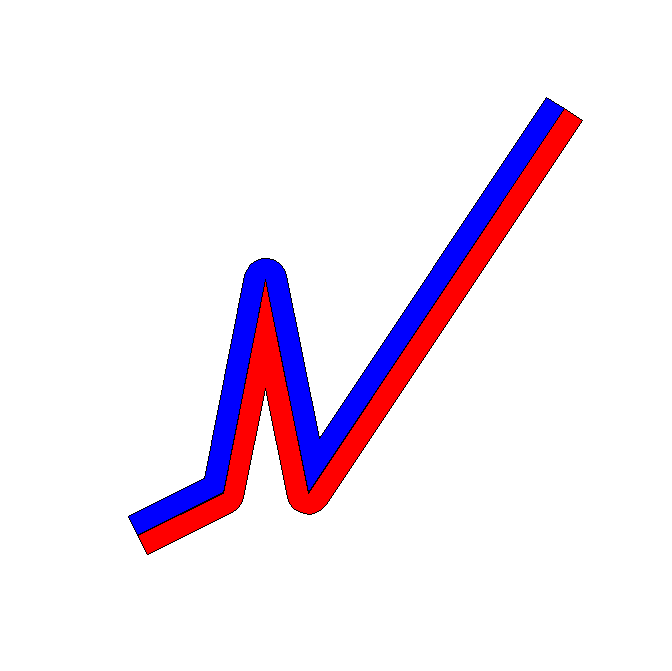 The third function, pred_means, just takes the model output and generates a data frame in wide format for plotting (it is the same underlying code for plotting the model). 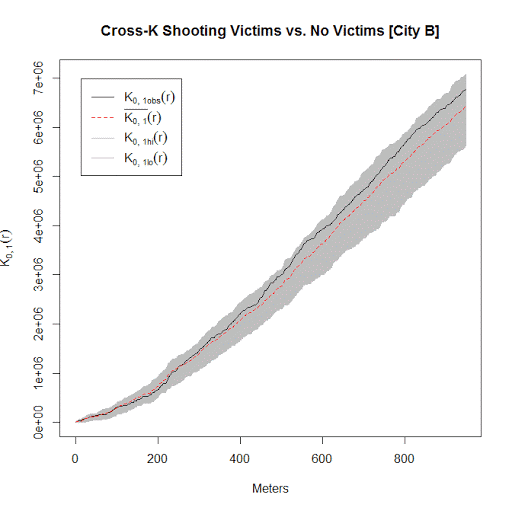 We can subsequently use the long data longD to plot the individual trajectories faceted by their assigned groups. I have an answer on cross validated that shows how effective this small multiple design idea can be to help disentangle complicated plots. Plotting the individual trajectories can show how well they fit the predicted model, as well as if there are any outliers. You could get more fancy with jittering (helpful since there is so much overlap in the low counts) but just plotting with a high transparency helps quite abit. This second graph plots the predicted means along with the weighted means. What the weighted_means function does is use the posterior probabilities of groups, and then calculates the observed group averages per time point using the posterior probabilities as the weights. Here you can see that the estimated trajectories are not a very good fit to the data. Pretty much eash series has a peak before the predicted curve, and all of the series except for 2 don’t look like very good candidates for polynomial curves. It ends up that often the weighted means are very nearly equivalent to the unweighted means (just aggregating means based on the classified group). In this example the predicted values are a colored line, the weighted means are a colored line with superimposed points, and the non-weighted means are just a black line. You can see the non-weighted means are almost exactly the same as the weighted ones. For group 3 you typically need to go to the hundredths to see a difference. You can subsequently superimpose the predicted group means over the individual trajectories as well. Two types of absolute fit measures I’ve seen advocated in the past are the average maximum posterior probability per group and the odds of correct classification. The occ function calculates these numbers given two vectors (one of the max probabilities and the other of the group classifications). We can get this info from our long data by just selecting a subset from one time period. Here the output at the console shows that we have quite large average posterior probabilities as well as high odds of correct classification. (Also updated to included the observed classified proportions and the predicted proportions based on the posterior probabilities. Again, these all show very good model fit.) Update: Jeff Ward sent me a note saying I should be using the predicted proportion in each group for the occ calculation, not the assigned proportion based on the max. post. prob. So I have updated to include the occ_pp column for this, but left the old occ column in as a paper trail of my mistake. A plot to accompany this though is a jittered dot plot showing the maximum posterior probability per group. 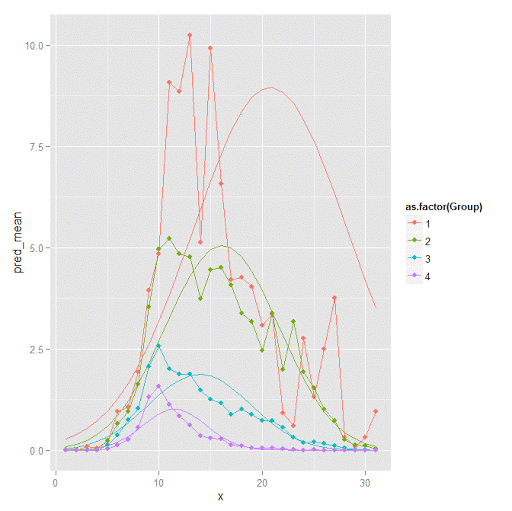 You can here that groups 3 and 4 are more fuzzy, whereas 1 and 2 mostly have very high probabilities of group assignment. Remember that these latent class models are fuzzy classifiers. That is each point has a probability of belonging to each group. A scatterplot matrix of the individual probabilities will show how well the groups are separated. Perfect separation into groups will result in points hugging along the border of the graph, and points in the middle suggest ambiguity in the class assignment. You can see here that each group closer in number has more probability swapping between them. And the last time series plot I have used previously is a stacked area chart. I will have to put another post in the queue to talk about the spatial point pattern tests I used in that trajectory paper for the future as well.